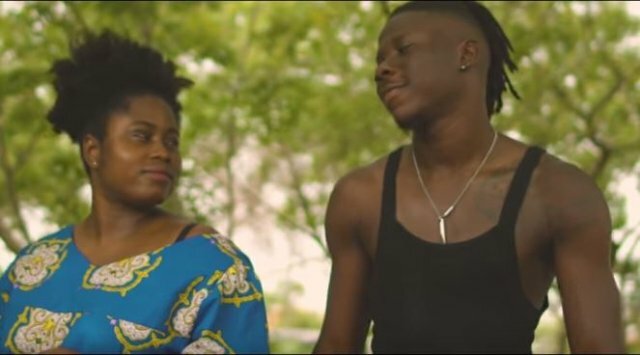 Ghanaian dancehall artiste Stonebwoy has released a video for his much-anticipated song ‘Tomorrow’. The multiple award-winning dancehall artiste tells his story of his hustle to where he is today in life. He encouraged his fans never to give up on their dreams. According to the 30-year-old dancehall artiste nobody knows tomorrow, he never thought a person like him who used to live in ‘Chorkor’ would have been able to accomplish a lot in this life. He also, disclosed in the song that ‘all that glitters is not gold’. He continues to say no one is superior to death, everyone will die whether rich or poor. The inspirational song was produced by Brainy Beats, directed by Prince Dovlo which featured Ghanaian actress Lydia Forson. Born Livingstone Etse Satekla has recently honored again as the Best Reggae Dancehall Artiste at the just ended Vodafone Ghana Music awards 2018.